Luke Donald is back. Could there be a better feel-good story to mark the start of another Chicago golf season? One of the greatest players to ever come out of the Chicago amateur ranks, Donald has gone through over two years of difficult times. A herniated disc in his back severely curtailed his play, but – if his strong showing in last week’s PGA Tour stop is any indication – Donald is finally on the comeback trail. Donald, born and raised in England, blossomed at Northwestern. He was the NCAA champion in 1999 and – after a stunning series of successes — rose to No. 1 in the Official World Golf Rankings in 2012. He stayed there for a while, too – 40 straight weeks and 56 overall. Donald also stayed connected to the Chicago scene, as a member of Conway Farms, in Lake Forest, and a major contributor to the First Tee of Greater Chicago and the Northwestern golf program. Pat Goss, Donald’s coach at Northwestern, has remained one of his swing instructors and the present Wildcats benefit from the practice facility Donald created at The Glen Club in Glenview. It was only in the last few months that Donald sold his Northfield home. He has also been a long-time resident of Jupiter, FL., where he can practice year-around at the Jack Nicklaus-designed Bear’s Club. 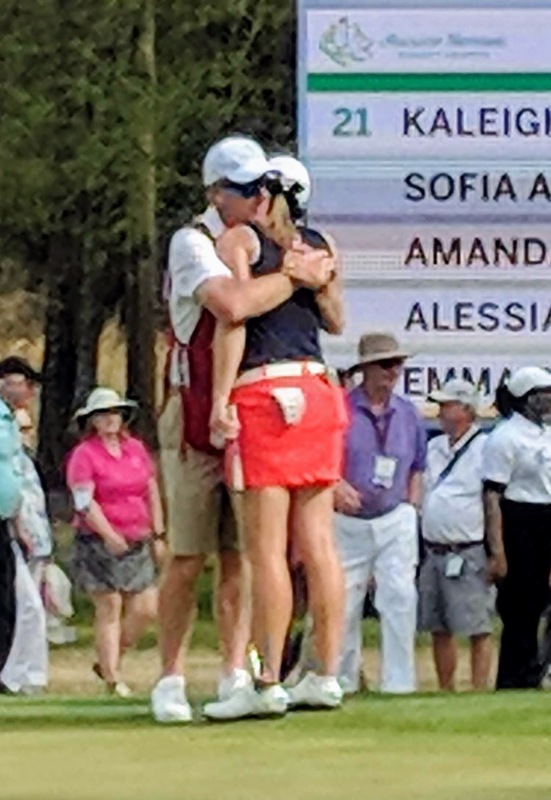 Donald’s back problems started in 2017, a year in which he endured eight straight missed cuts after a second-place finish at the RBC Heritage Classic in Hilton Head, S.C. In 2018 he made only eight tournament starts and missed the cut in six. This year he missed the cut in his first tournament, the Sony Open in Hawaii, in January and then didn’t play again until last week’s Valspar Championship in Florida. “Backs are tricky, and there were a few things the physios I’ve been working with didn’t like. They thought if I went too hard too early that I could run into some issues,’’ said Donald. He’s playing this season on a Major Medical Extension, meaning he has 15 starts available to earn enough FedEx Cup points to retain full membership on the PGA Tour. Donald made his second of those starta at the Valspar — the last tournament Donald won, in 2012, and the last in which he survived a 36-hole cut, 376 days earlier. With all the forced time off his world ranking had dropped to No. 919. Last week he did much more than survive the cut, and you had to be there to fully appreciate that accomplishment. Donald tied for ninth place and was in contention to win through 10 holes of Sunday’s final round. Then a double bogey on a par-5 derailed his chances of overhauling another Englishman, Paul Casey. Casey became the first repeat champion in the tournament’s 19-year history but Donald left with an optimistic outlook. Donald is taking this week off, then will play in the Valero Texas Open. He’s not eligible for the Masters the week after that but will be back in the field at the Heritage Classic April 18-21. Donald has a great record there, finishing second five times and third twice. DESK, YOU MIGHT WANT TO USE BULLETS WITH THESE ITEMS. BITS: Arlington Heights resident Doug Ghim moved into the critical No. 25 position in the Web.com Tour standings with his 19th place finish in last week’s Chitimacha Louisiana Open. If he can stay in the top 25 through the end of the season Ghim will earn PGA Tour membership for the 2019-20 season. Lisa Quinn, executive director of the First Tee of Greater Chicago the past seven years, has announced her resignation from the post. She will remain on the job though May 31 to assist in the transition process. Two new directors of golf have been named at Chicago area facilities. Brian Hilko has taken over at Orchard Valley, in Aurora, and Ben Nactwey at Fox Bend, in Oswego. 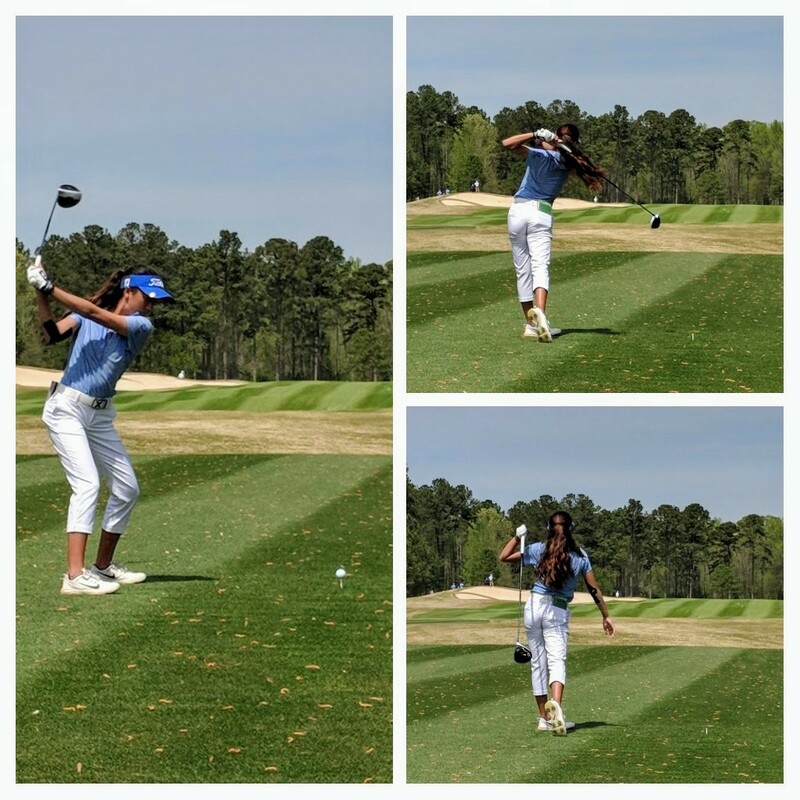 Batavia-based club manufacturer Tour Edge has re-signed three-time World Long Drive champion Phillis Meti to play its EXS driver. 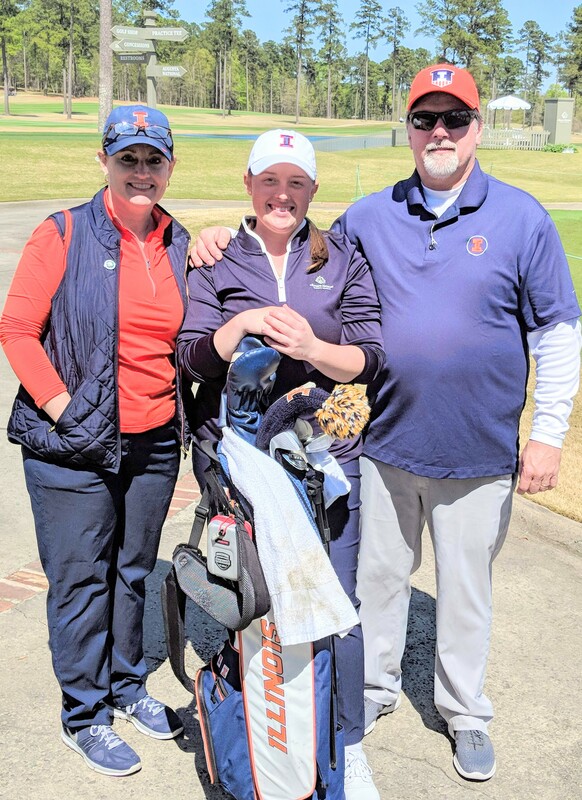 Two Illinois golfers have posted resounding victories in collegiate tournaments. Illinois freshman Adrien Dumont de Chassart was a six-shot winner at North Carolina’s Tar Heel Invitational and Illinois State’s Trent Wallace won the South Florida Invitational by five. The weather outside might not suggest it, but the Chicago golf season officially starts on Friday. That’s when the 36th annual Chicago Golf Show tees off at the Stephens Convention Center in Rosemont. The three-day show, presented by Indiana’s French Lick Resort, offers more than 350 exhibitor booths; a 3,000-square foot driving range; guest appearances by former Bears Robbie Gould, Patrick Mannelly and Emery Moorehead; a trick shot exhibition by Peter Longo and the every-popular Chicago’s Longest Putt contest — an 85-foot challenge that offers two premium tickets (a $1,590 value) to this year’s BMW Championship at Medinah. All paid attendees among the expected 17,000 visitors to the show will receive a free round of golf from one of the courses operated by Mundelein-based GolfVisions. Travel destinations, equipment manufacturers, tournament organizers and Chicago golf groups will all be represented at the show. The champion’s trophy for the June 27-30 U.S. Senior Open will also be on display, courtesy of the tourney host Warren Course at Notre Dame. Show hours are noon-7 p.m. on Friday, 9:30 a.m. to 6 p.m. on Saturday and 9:30 a.m. to 4 p.m. on Sunday. Admission is $6 on Friday and $11 on Saturday and Sunday. Youth 12-15 can get in for $4 and those 11 and under will be admitted free with a paid adult. Wheaton’s Kevin Streelman and Arlington Heights’ Doug Ghim have already made splashes on the PGA Tour this season. Finishing with a 65, Streelman tied for seventh at the AT&T Pebble Beach Pro Am and earned most of his $347,445 in season money at that one tournament. Ghim, a member of the Web.com Tour, has been given two sponsor’s exemptions to PGA Tour events so far in 2019 and he cashed in at the Farmers Insurance Open where he tied for 20th and earned $79,804. Ghim also has a tie for third at Bogota, Colombia among his three Web.com starts. Deerfield’s Vince India, the area’s other Web.com member and the reigning Illinois Open champion, survived the 36-hole cut in four of his five Web.com starts with his best finish a tie for 17 in the last one at the LECOM Suncoast Classic in Florida. 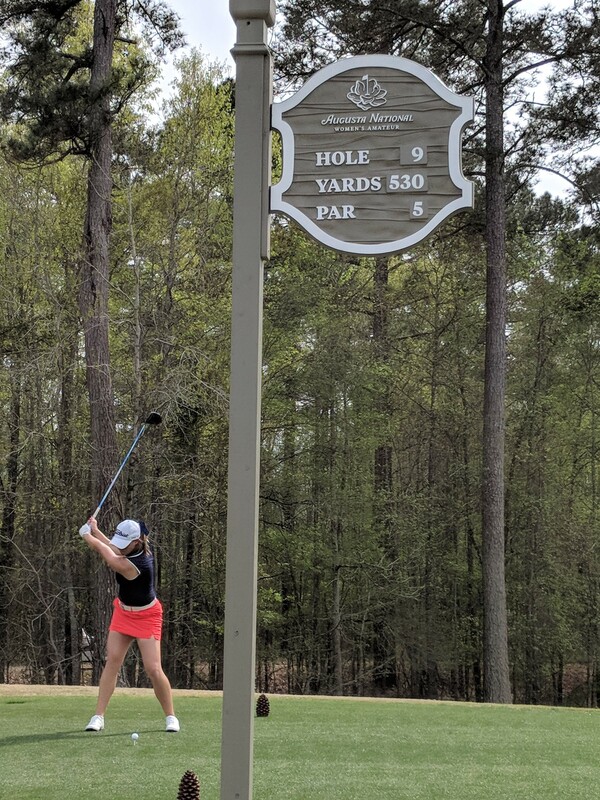 Winnetka’s Elizabeth Szokol, who earned a place on the Ladies PGA Tour, made her debut with two tournaments in Australia this month. 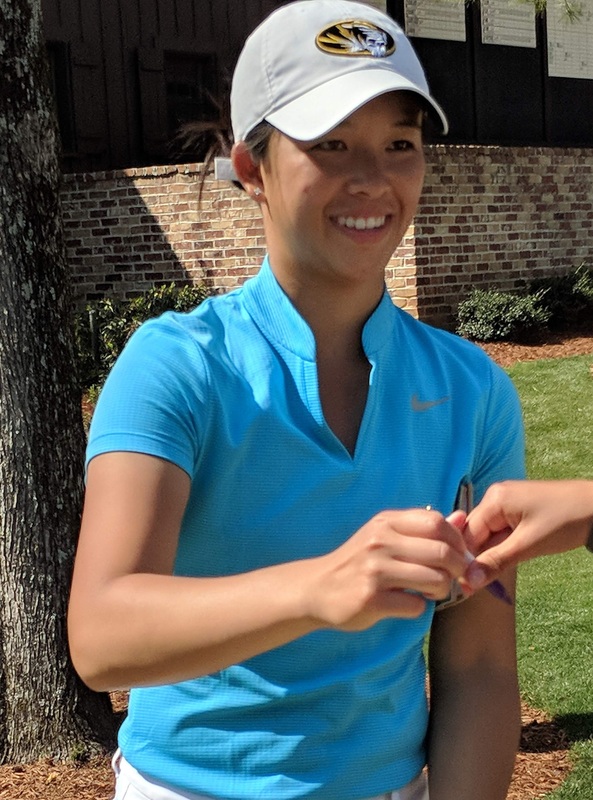 She claimed her first paycheck in last week’s ISPS Handa Women’s Australian Open, picking up $3,360 for a tie for 58th place. Highwood’s Patrick Flavin and Wheaton’s Tee-K Kelly finished one-two in the Brazil qualifying tournament for the PGA’s Latinoamerica Tour. They begin the circuit’s regular season next month in Panama. Chris Gumbach, head man at River Forest Country Club in Elmhurst, has been named Professional of the Year – the top award presented annually by the Illinois Section of the PGA of America — for work done in 2018. Onwentsia Club, in Lake Forest, was honored twice. Head pro Nick Papadakes won the Horton Smith Award for his development of educational opportunities within the section and Claire Castetter was the Assistant Professional of the Year. The awards will be presented on March 11 at a private ceremony in Woodridge. The Western Golf Association has issued a call for volunteers for the Aug. 13-18 BMW Championship at Medinah. More than 2,000 will be needed to conduct the PGA Tour’s FedEx Cup Playoff event and the WGA hopes to have all the positions filled by June 15. Volunteers must be at least 18 years old and be committed to work at least three shifts, each of which is between four and six hours in duration. The three-course rotation for the Illinois PGA Championship will end in 2019. Olympia Fields’ South Course, Stonewall Orchard in Grayslae and Medinah’s No. 1 layout had taken turns hosting the tournament. This year Ruth Lake, in Hinsdale, will be the site of the championship. Ridgemoor, in Chicago, has been named the alternate site for the finals of the 70th Illinois Open in August. The Glen Club, in Glenview, returns as the main site for the 54-hole final and the last round will again be played there. Austin Kopp has departed as head professional at The Preserve at Oak Meadows in Addison for a job in Iowa. He’ll be replaced by Jamie Nieto, who has spent the last six years as the head professional at Pheasant Run in St. Charles. Wilson’s Tim Clarke claims his company produced “the prettiest driver” of 2019. LAKE BUENA VISTA, FL. – The 66th annual PGA Merchandise Show lived up to its billing as “the biggest show in golf’’ last week. Over 40,000 industry members from 83 countries spent four days hiking the 10-mile stretch of exhibits at the Orange County Convention Center. There were over 1,000 exhibitors. Such a massive turnout was nothing new. The show always brings out the world’s top equipment manufacturers, organization leaders, travel destination personnel and lots of the stars from the pro tours. This show, though, had something none of its predecessors did. Two Chicago club manufacturers dominated the Industry Honors competition, conducted annually by the International Network of Golf. 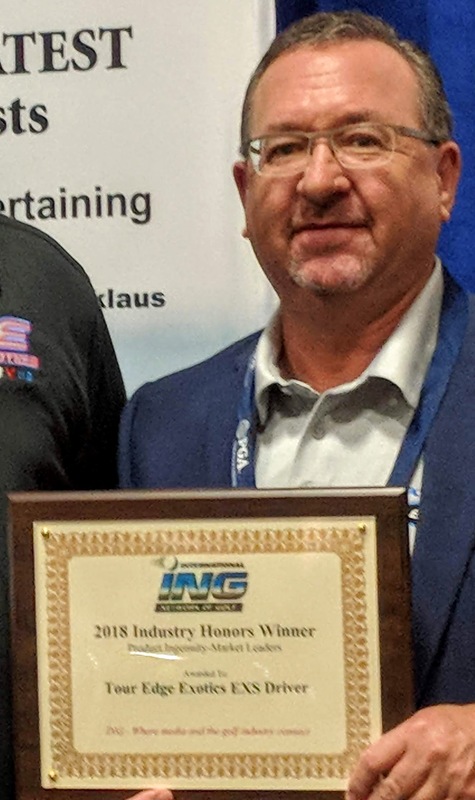 Wilson’s golf division, now based in Chicago after a long run in River Grove, won the Business Achievement Award for its Driver vs. Driver TV series and Batavia-based Tour Edge was the winner of the Product Ingenuity Award – Market Leaders for its Exotics EXS driver. There were six Ingenuity awards handed out, and the Chicago area had another winner in the Miscellaneous Products category. Zero Friction, based in Oakbrook Terrace, won for its colorful Spectra Supertube. Tour Edge president David Glod has benefitted from signing PGA Tour Champions stars. The wins by Wilson and Tour Edge, however, came in the highest profile categories. Tim Clarke, general manager of Wilson’s golf division, and David Glod, president of Tour Edge, were happy campers after picking up their coveted awards. Driver vs. Driver was an innovative campaign developed by Wilson two years ago and carried over several weeks each year on The Golf Channel. Amateur designers brought their club creations to the competition and worked with Wilson personnel and various club testers to determine the driver that the company would eventually put on the market. The first year of the series was intriguing just for being something new and different. Driver vs. Driver 2 was closely followed throughout the golf community and Evan Hoffman of San Diego won with his cortex model that was widely tested on the recent Show’s Demo Day. 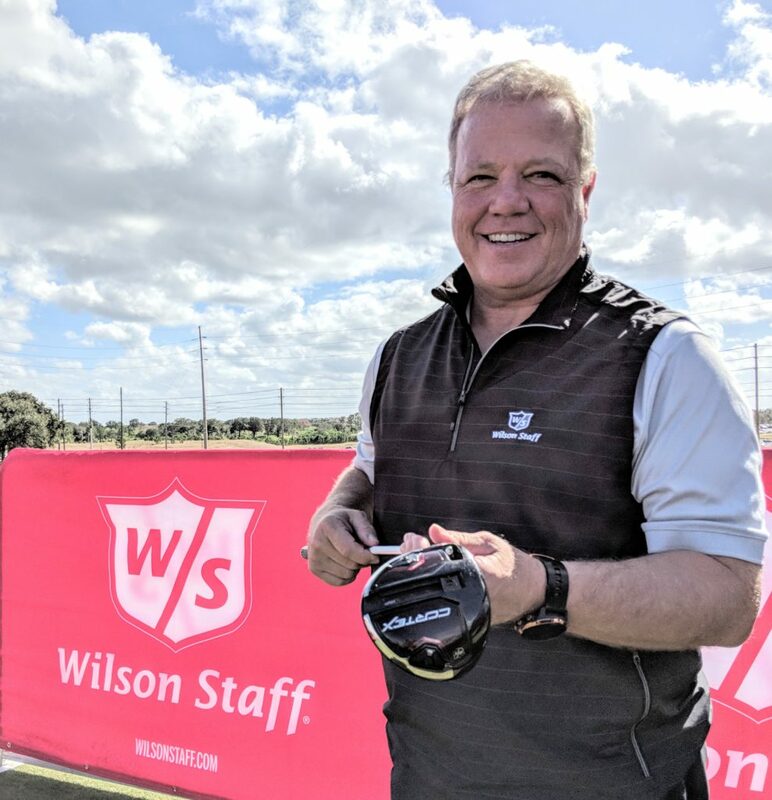 Wilson added Gary Woodland, a notable long hitter on the PGA Tour, to its staff recently and he may wind up using the club. Whether he does or doesn’t, however, there’s no guarantee than Wilson will stage a Driver vs. Driver 3. Wilson used that format to entice visitors to try its clubs at the PGA Show’s Demo Day. Clarke, though, said a decision on the next promotional format won’t be made for at least two months. Glod, in his 33rd year at Tour Edge, is taking an aggressive advertising approach with his new hot club now on the market. He’ll be pushing more than just his well-received driver while working with some of golf’s top name players. Within the last four years Tour Edge began signing stars on PGA Tour Champions, and the biggest signee yet came two weeks ago when Tom Lehman joined the Tour Edge team. Lehman immediately won a tournament wearing the Tour Edge logo. Tour Edge also has another Champions Tour star, Scott McCarron, on its team and Glod hopes to elevate his presence on it. Glod has elevated his company’s profile by hooking up with players on the 50-and-over circuit.